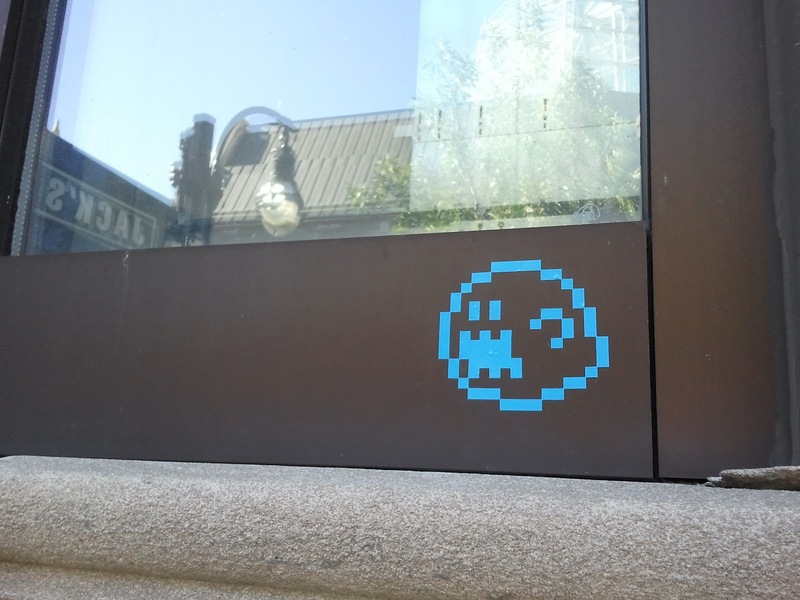 This little Boo is currently haunting a window on State Street near the old Jack's Shoes. 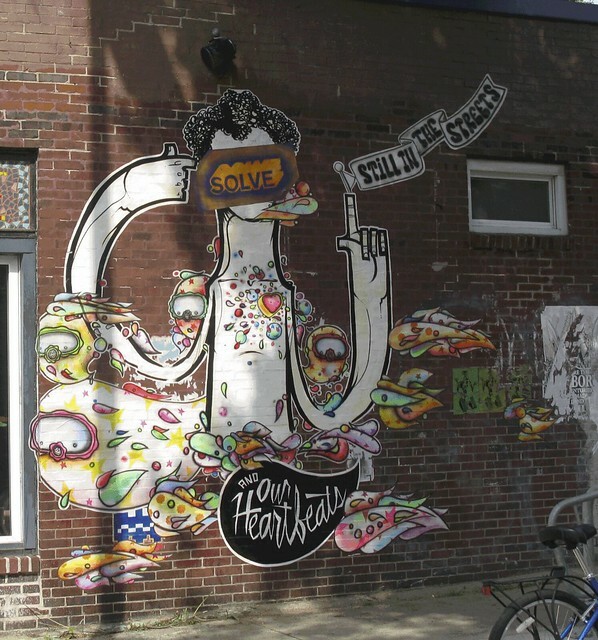 This piece just went up at Mother Fool's as part of the annual celebration of Brandon "SOLVE" Scanlon's life held by the McGlynn-Scanlon family. The work is by well-known Chicago street artists Nice One and Tara D, photographed by Bill Scanlon (SOLVE's dad).